Just a little something spooky to celebrate the coming of autumn! I was in a Halloweeny mood, so I drew this guy up in an afternoon and colored him in the evening, once the day cooled off. We’re having an end-of-summer heat wave here in the bay area, and it’s slowing me way down, so I cheered myself up with a bit of spooky goodness. 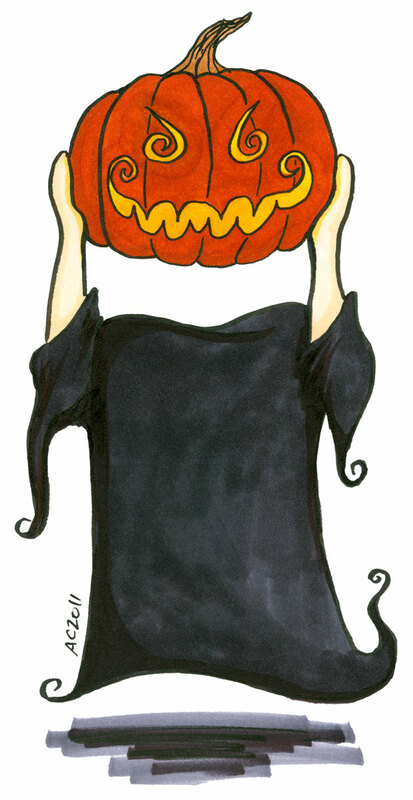 Weeble Pumpkinhead, 5.5″x8.5″ pen & ink and Copic markers on sketchbook paper, not for sale. Zombie pumpkin wants to snack on human pie!